HEPA filters stop the vast majority (99.7%) of airborne particles greater than 0.3 microns. Most of the time, you’ll never need a filter that stops even smoke particles, but when you do, we have what you need. 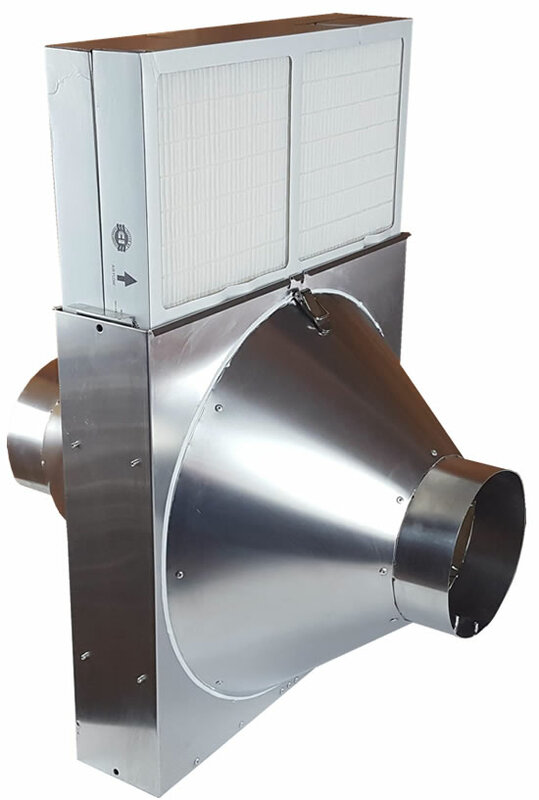 To avoid smoke infiltration during smoke situations, one strategy is to pull outside air through this HEPA filter and pressurize your house with clean air. As always, please feel free to call our technical sales people for any application assistance. 888-855-7229 or email us at sales@hvacquick.com. Todays high tech TV and sound systems have a lot of computing power and lots of amps to portray the sounds the Director wanted you to hear. A byproduct of all those components can be tremendous heat build up, which potentially could damage your equipment. The best way to alleviate heat build up is of course to evacuate the air from the enclosure or room the equipment is in. Typically installers will install a thermostat in the room, then put a remote fan above or below connected with duct to pull air out. Of course we need cooler air to come in and replace what we have taken, so a popular solution is to install a grille down low in the access door. This allows air to come from the house and absorb the heat being produced. Sometimes we even add a filter to this door grille to keep the dust from building up on the components. 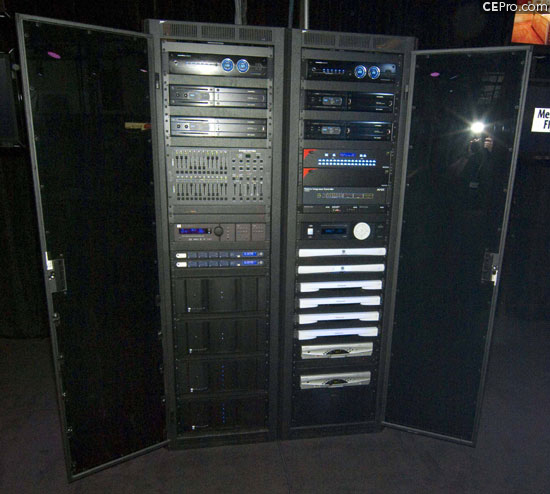 This will also work with servers, and other heat generating electronic equipment. Some benefits of proper heat dispersal is better performance and longer life of the pieces. We believe that a well informed customer will always have a more gratifying experience. So in that regard, here is the 10 minute ‘expert’ course in airflow. What we won’t discuss for now are the human engineering aspects. Thermal comfort is a complex science. You see the numbers everywhere, what does it mean? CFM stands for cubic foot per minute. This term is used as a measurement of airflow rate for ventilation systems. The cubic foot refers to a cube of air 1 foot x 1 foot x 1 foot. CFM represents a volume flow rate, since we measure how many cubic feet are flowing by per minute. Air is really, really light.